The Mack Over The Air remote programming solution allows for remote software updates and the setting of vehicle parameters. The Mack Parameter Plus package enables customers to make up to 50 parameter updates per 12-month period on all model year 2018 and newer Mack vehicles. Mack Trucks announced a new package for customers that will further maximize their uptime via Mack Over The Air, Mack's remote programming solution that allows for remote software updates and the setting of vehicle parameters. The Mack Parameter Plus package, now available for order, enables customers to make up to 50 parameter updates per 12-month period on all model year 2018 and newer Mack vehicles equipped with Mack GuardDog Connect. Previously, customers were able to make just two parameter updates per year as part of their Uptime contract subscription. There is no limit for Mack-initiated software updates used to continuously enhance product performance. Mack made the announcement during The Work Truck Show March 6 at the Indiana Convention Center, Indianapolis. "We consistently seek out ways to improve Uptime for our customers," said John Walsh, vice president of marketing of Mack Trucks. "Mack Parameter Plus enables customers to bundle their parameter updates into a cost-effective package, and since it's built on Mack Over The Air capabilities, customers' valuable schedules are not disrupted while the parameters are set. Parameters help tailor the truck to the job and help customers comply with regulations such as road speed and idle shutdown. " Mack Parameter Plus also is available for previously purchased vehicles with Mack EPA 2017 engines. Mack Over The Air delivers software and parameter updates directly to a customer's truck through Mack GuardDog Connect, Mack's fully integrated telematics solution. Working with Mack OneCall agents, the updates are scheduled for when it works best for the customer. "The parameters can be set while the driver is available, such as when at lunch, since most updates take just a few minutes to set," said David Pardue, vice president of connected vehicle and contract services of Mack Trucks. "As long as the key is in the ignition and the truck is parked, the remote update can be delivered." 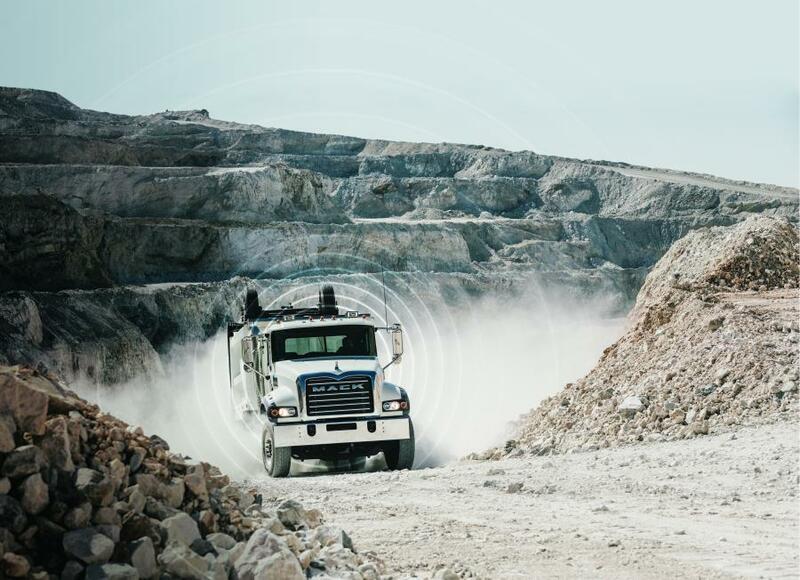 Mack Over The Air is just one capability in Mack's suite of Uptime offerings under Mack Connect, which integrates intelligent software, predictive analytics and driver assist technologies into three pillars to improve productivity: connected support, connected business and connected driving. Along with setting the speed limit, other parameters include the shifting of the engine into economy mode or performance mode. For more information visit www.macktrucks.com.